1) Preheat the oven to 160°C/140°C fan/Gas 3. Grease and line the base of a 23cm, 9cm-deep cake tin. 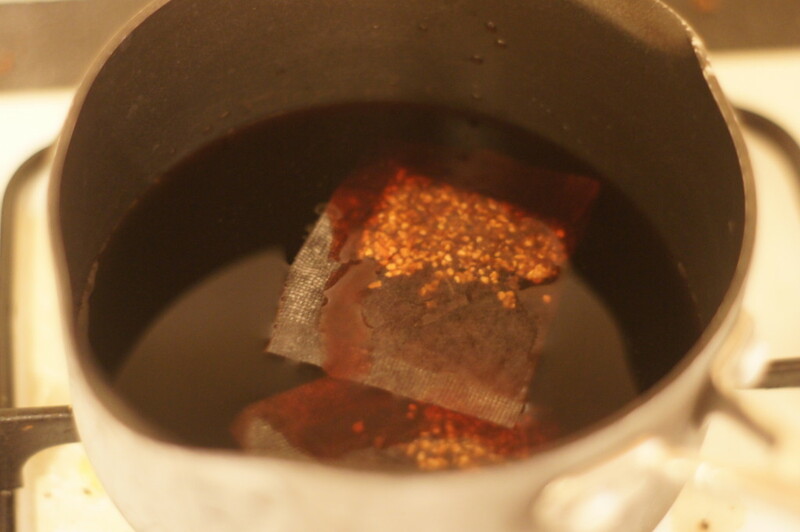 2) Place the red wine and the mulled wine spice bags in a small saucepan and heat gently until they come to a simmer. Remove from the heat and pour the wine and spice bags into a bowl to cool to room temperature. Once cool, squeeze out any extra liquid from the spice bags, then throw away. 3) In a large bowl, beat the butter until smooth, then add the sugars and beat together until pale and fluffy (this will take about 3 to 5 minutes). Gradually add the eggs, beating constantly. 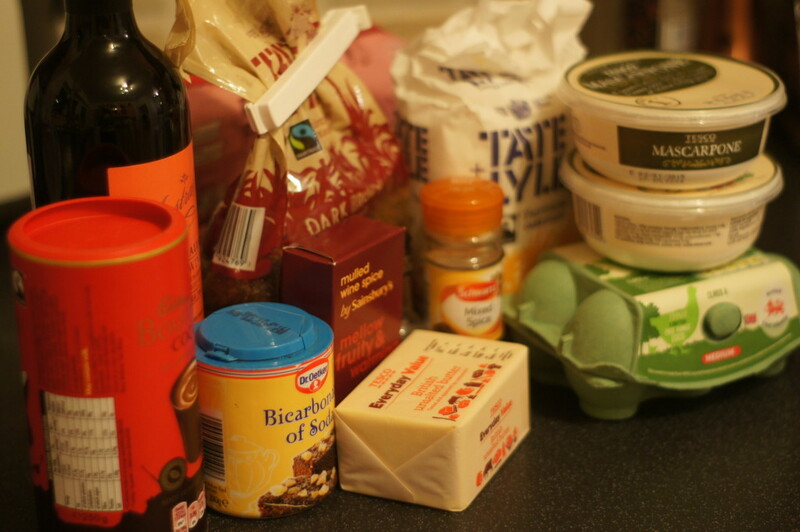 4) Sift in the flour, cocoa powder, bicarbonate of soda, baking powder, mixed spice and a pinch of salt. Mix briefly, then gradually add the cooled red wine and vanilla extract, mixing until just combined. 5) Pour the mixture into the prepared tin and bake for about 1 hour and 10 minutes, until a skewer inserted into the centre of the cake comes out clean. (The cake will dome and crack slightly, but don’t worry, the icing will hide this.) Leave to cool in the tin for 30 minutes, then transfer to a wire rack and leave to cool completely. 6) While the cake is cooling make the mascarpone icing. 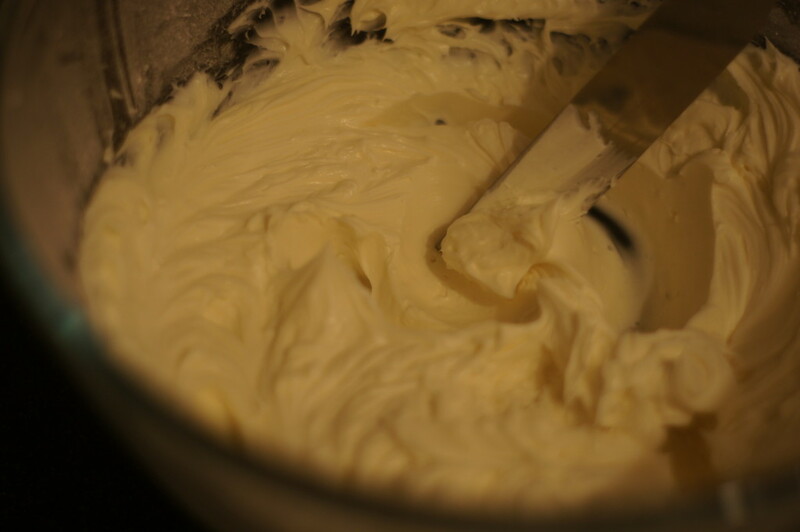 In a medium bowl using an electric whisk, whisk together the mascarpone, icing sugar, vanilla extract and a pinch of salt, until the mixture is light and fluffy (this will take about 1-2 minutes). 7) Once the cake has cooled, pile the mascarpone icing on top, and, using a palate knife, try to recreate a snowy landscape. 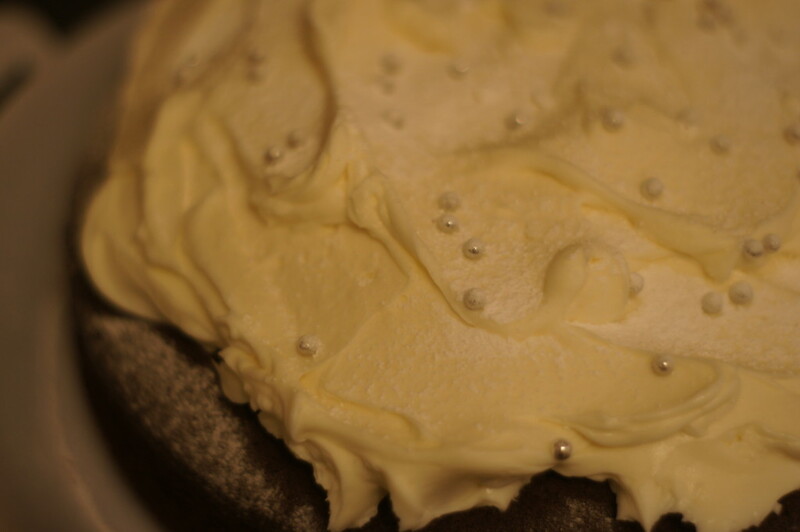 Finish with a scattering of edible shimmer pearls or silver balls. Dust with icing sugar.